Rent a Limo, Party Bus, or Charter Bus for Your Next Special Event! If you are looking for a safe and reliable transportation in and around Ft Lauderdale, you can count on Ft Lauderdale limo service. We cover all the cities in the State of Florida and guarantee you a safe and sound trip so that you enjoy every moment of your travel. Ft Lauderdale Limo makes sure to upgrade our fleet of party buses, charter buses and luxury limousines, so that you always ride in the latest models. Limo service Ft Lauderdale wants to earn your business by providing excellent customer support. Limo Service Ft Lauderdale has the perfect limos, and party buses, town cars or a specialty vehicles to perfectly match your special occasion and make it memorable. Whether you are planning a Bachelor/Bachelorette party, Sweet Sixteen party, Wedding, Nights-on-the-town or any other special event, let us provide you a perfect vehicle to celebrate your special occasion in style. Ft Lauderdale Limo is South Florida’s largest provider of H2 Hummer Limousines, Stretch Limo’s, Limo buses, Excursion Limos, and much more. We are available for Service From Vero Beach all the way to Key West. If you need party bus rental Jacksonville, we have a sister company there. In order to get a quote from us, all you need to do is enter the date, the time and the number of persons who will be celebrating the special occasion with you. We guarantee to offer you best rates for the kind of services that we provide. Impress your guests with our latest fleet of Ft Lauderdale limos which range from standard Lincoln stretch to the brand new Escalade EXT limo. And if you’re ever in Pennsylvania, check out Party Bus Rental Philadelphia! Besides your standard limo, we also offer specialty vehicles such as Rolls Royce Phantom, Antique Rolls Royce, Bentley and specialty wedding Antique Vehicles. All of our vehicles go through regular inspections and are upgraded in a way to offer you maximum room and comfort. They have amazing interior designs, plenty of room and a conducive environment to make your trip – the trip or a life time. Do not forget to give Ft Lauderdale, Fl limo a call today to make your special occasion memorable. 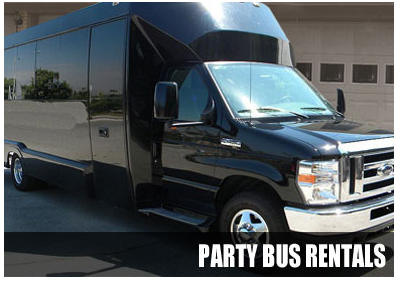 Party Bus Fort Lauderdale will fulfill your transportation needs. We specialize organizing your party and providing you with transportation in luxurious limo coaches (Party Buses), and exotic limousines, including the Ford Excursion limousine and the ever popular stretch Hummer limos as well as the H2 Hummer limousine. Just give us a try. We aim to make your Miami / Fort Lauderdale limousine experience the best ever! Our staff of hosts and drivers will excede your expectations for your bachelor party, bachelorette party, to the golf course or to your upcoming Miami / Fort Lauderdale convention in style. We offer online limousine reservations, and accept major credit cards. 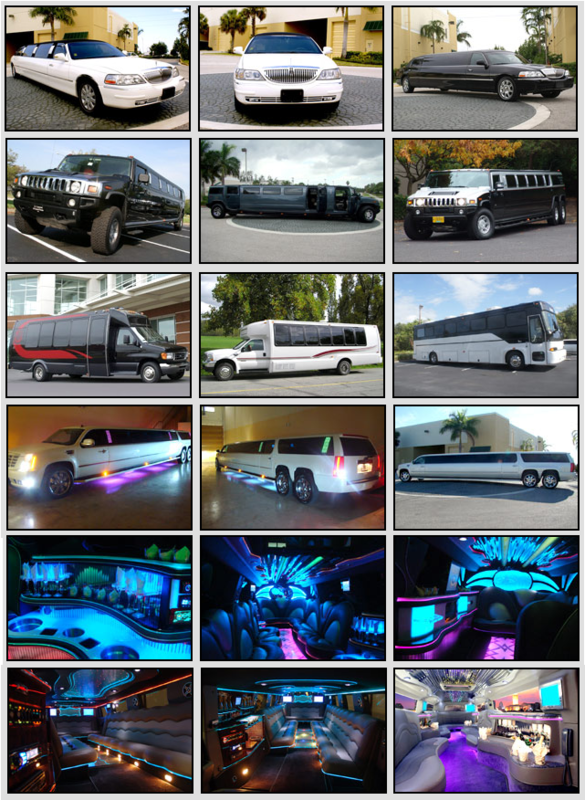 Experience our SUV limousines in Miami, Party Bus Ft Lauderdale, Fort Lauderdale Limo Service today. We are your number one source for planning a bachelor party or bachelorette party. Our free tips will help you plan every aspect including party ideas, games, party favors, drinks and food for your wedding or fraternity party (frat party). From party supplies to the party favors, we’ll help make your party a very memorable one. Our party limo rental service can take you to the restaurant, bar, club, or travel from place to place around the city as late as you want to go! Let a stretch limo be the transportation for your entire party, making your wild night safe, fun and memorable, as you are driven wherever you wish to go by a highly professional and accommodating limousine driver. We offer you the best rates in town for the kind of services that we offer and the prime condition of the fleet that you use. The hourly rate for limo rentals in Ft Lauderdale vary greatly and it depend on the kind of vehicle that you choose. We also offer great deals and discounts from time to time, so do not forget to visit our site and search current discounts. If your in need of direct transportation shuttle service to Port Everglades or The Port of Miami, we have motor coach bus for the larger corporate group transportation. 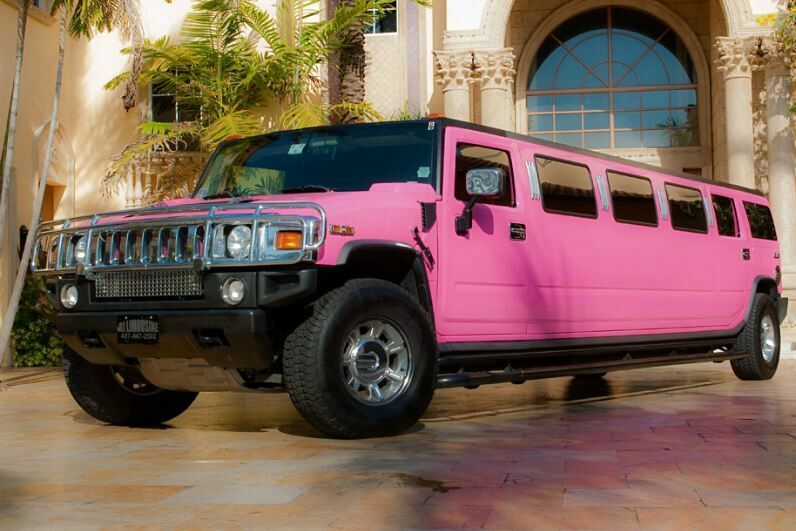 If your more interested in limos for rent to The Office Depot Center, South Beach, American Airlines Arena, or The Downtown Fort Lauderdale area, try a NEW 2005 Stretch Hummer Limousine. These babies will turn heads On Ocean Drive! With our party bus rentals in Ft Lauderdale you have a few different ways to travel and the room you need to enjoy a trip to the beach that everyone will remember. The spacious Fort Lauderdale party buses make it easy for any bride-to-be to travel with her dress and bridesmaids will not have to step on the dress while traveling. If you are enjoying a night on the town you want to be able to blast the surround sound system and move around the vehicle, right? Well we have you covered! If a group of guys are celebrating a bachelor party at Solid Gold, Labare, Pure Platinum, or Goldfinger we will get them there. 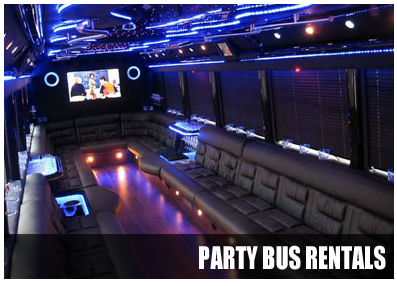 They will enjoy the leg room that is available within any of the Ft Lauderdale party bus rentals. It’s all about having a good time and talking about it for years to come. Check out Scarlett’s, this club is one of the bachelor party top places to visit in Broward County. We have special offers from Scarlett’s Cabaret, Cheetah, Tootsies, and more, for the ladies, we have special offers from Crobar, Blue Martini, The Pawn Shop, and more. We also do South Florida Tours. Rent our vehicles and get more then you would expect. We also offer car service from MIA / FLL to the Loews Hotel, the Delano Hotel, the Breakers, the Westin Diplomat, and the Ritz Carlton The The Fort Lauderdale Limousine team will work with you to ensure flawless ground transportation and the highest quality service, tailored to your specific needs and requirements. As our client you can expect the best. Our partner sites include Limo Service Orlando, Party Bus Tampa, and Party Bus Miami. Book a Ft Lauderdale limo rental for prom, weddings, FTL Limo transportation, Shuttle Service, vans and more. Find great rates for FTL airport transfer services, Broward weddings, Los Olas nights on the town and more. Find the right luxury vehicle that fits your evening in style. Make it a memorable homecoming or prom as you travel in a Fort Lauderdale Hummer Limo, Excursion, or the beautiful Chrysler 300 Stretch Limo. Do you just want a cheap limo service? If you do, look into renting a shuttle bus or a mini bus for general transportation, as you will be able to fit more people especially if your trip is to Port Everglades or a transfer from FTL to MIA. You will find yourself booking the right limousine rental in Ft Lauderdale when you book here. Let us make it our goal to help you find the right vehicle at a price that is not going to hurt your pocket at the end of the day. From Lauderdale-By-The-Sea to Hollywood Florida we have a fleet available to fit your occasion.